The Marcellus Dow house, which has stood in Brooks since 1896, was torn down recently after having stood in a state of disrepair for decades. For more than a century, a three-story house that once was a local showplace has dominated the intersection at the heart of downtown Brooks. But the years have been hard on the former Marcellus Dow house, which has been in a state of disrepair for decades. On Tuesday, heavy machinery operators demolished the home, leaving an empty lot where the house had stood since it was built in 1896. The demolition of the home has sparked a passionate response on social media, especially from those who have expressed their sadness about its fate. The newly vacant lot at the heart of town where the three-story, 5,000 or 6,000 square-foot Marcellus Dow house stood until it was taken down on Tuesday. But it’s not the first time that Brooks residents have debated what should become of the house. Back in 2011, the town was even offered the gift of the dilapidated property in the center of town by the former owner. 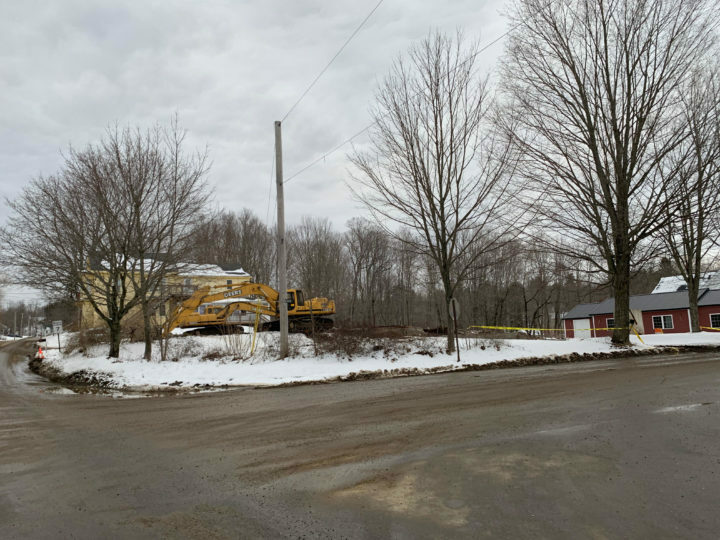 At a heated special town meeting that September, residents deadlocked on whether to accept the gift of the ramshackle house with attached barn that stood on a 0.75-acre lot at the intersection of Routes 7 and 139. 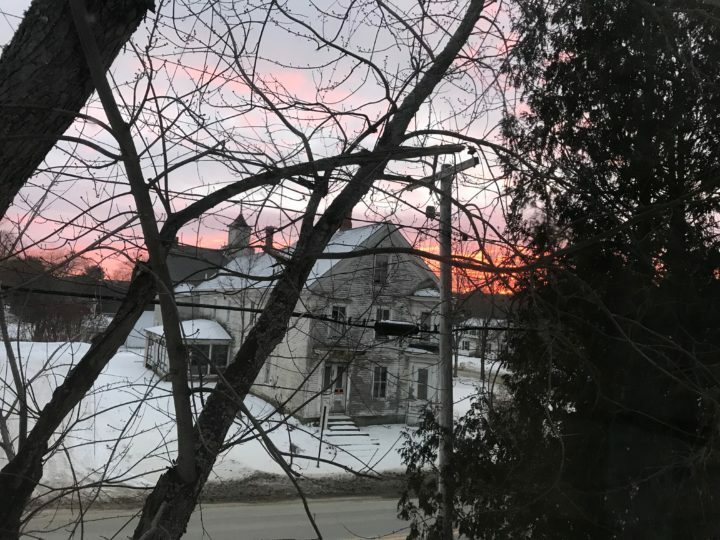 Ultimately, the selectmen decided that the deadlock represented a refusal, and the house — which many residents described as a “white elephant” — was not accepted. “No one is going to take a 6,000-square-foot lead and cat crap contaminated property,” one Brooks man said while arguing strongly against accepting the house. It was a long, slow decline for the home that had started out as beautiful, according to Kris Beirne of the Brooks Historical Society. It was built by Marcellus and Abbie Dow in 1896, replacing another home that had stood on the site. 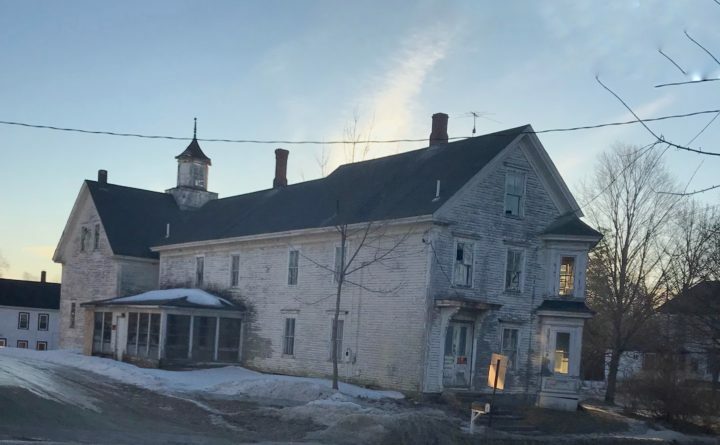 The Dows had a dry goods store on the property, Beirne said, adding that it underwent many changes to its interior over the years, including a stint as a sort of boarding house. Before workers demolished the house this week, historical society members were allowed to go through to take photographs and items that members felt were significant, she said. “This adds to other items we had previously acquired to allow the Marcellus Dow house to remain a part of Brooks’ history and memories, even though it is no longer physically there,” she said. A phone call to current property owner Kyle Gibbs, who also owns a hardware store in town, was not immediately returned. Frank Champa, who along with Switzer is a co-owner of the popular Brooks eatery Ralph’s Cafe, took some photos of the demolition and had seen the interior of the house fairly recently. Switzer said that the problems included burst pipes and a hole in the roof that allowed more water to drip into the home, which did include some fascinating features, such as a winter kitchen upstairs, a summer kitchen downstairs and a dumbwaiter that traveled between the two. Champa said that he knew the new owner had wrestled with the decision to have it torn down. The restaurateur said he understands that change is hard, and that it can take a bit to get used to such a major visual change to the town. Still, he sees the silver lining in this particular change.